Houston, Texas – known to many as the birthplace of Beyoncé and great BBQ – is a must-go for anyone looking for a quick weekend escape to a fun new place chalk full of pretty architecture, quaint eateries and that unmistakable southern charm. Here is your city guide to Houston Texas, baby! For a gourmet brunch experience in a gorgeous atmosphere, head over to The Dunlavy. Situated in lush trees with floor to ceiling windows and dozens of crystal chandeliers, the dining space makes for a perfect mid-morning hangout. You cannot go wrong ordering the Avocado Toast or the Chinese Chicken Salad. If you’re in the mood for a delicious smoothie, we recommend the Banana & Jam. With crepes to die for and the cutest decor, we just had to do a visit to Sweet Paris. The menu is extensive and any crepe you can dream up, Sweet Paris can offer. Nutella, caramel, strawberries and bananas – our mouths are watering just at the thought. Are crepes not your thing? No problem because waffles, milkshakes and Nutella hot chocolate are also up for order. Head over to Museum of Fine Arts, Houston to get your fill of incredible artwork. With many exhibits to marvel at, there is something for everyone to admire at the museum. Get to the museum before September 17 to enjoy Pipilotti Rist’s Pixel Forest and Worry Will Vanish. The twinkling lights, plush floor pillows and screens projecting thought-provoking imagery invite you to take it all in and stay awhile. Lay your head down to dream at the stunning Houstonian Hotel, Club and Spa. 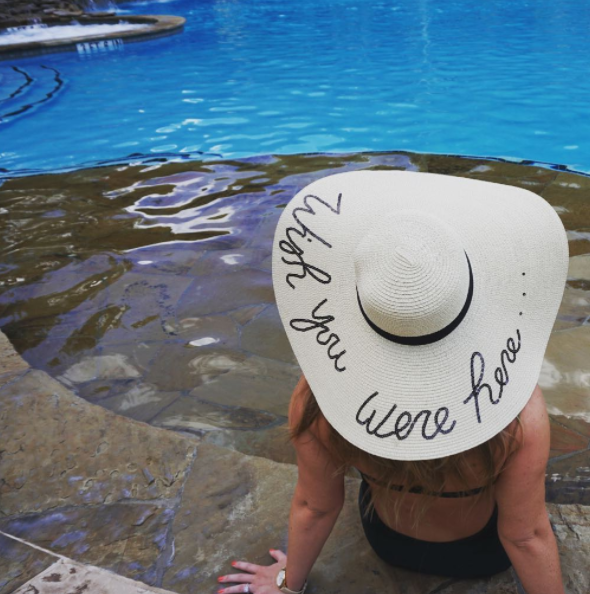 The Houstonian is a popular place to tie the knot with its lush surroundings and its luxurious pool has been the backdrop to many vacation snapshots. The renowned spa offers the utmost in pampering with treatments like Diamond Experience Rose – a body treatment using diamond dust and rose oil – and Stone Therapy massage.